My husband Andy M. had a vasectomy reversal 2 years ago by Dr. Kuang. We are happy to announce that we were blessed with a healthy baby boy on July 19th, 2017. We both would like to extend our gratitude to Dr. Kuang, it wouldn’t have been possible without him! We were told by other medical professionals/reproductive endocrinologists that it was simply “not possible to have a baby” since I have PCOS and my husband had his vasectomy for over 10 years but Dr. Kuang assured us that it was possible. Words couldn’t begin to express our happiness with our baby boy. Thank you a million times! Sperm back 4 weeks later. Dr. Kuang, Thank you for your help! 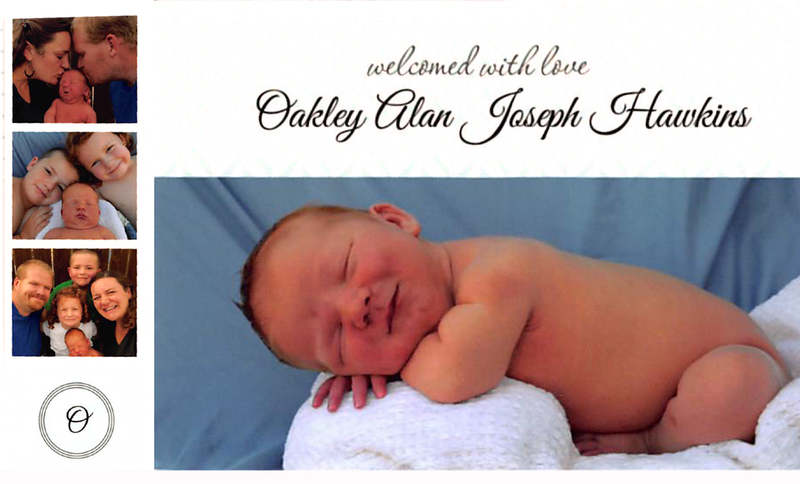 Oakley is so perfect & precious — we are very grateful and totally in Love! After a prolonged discussion and research, my wife and I agreed the vasectomy reversal option made the most sense to us. The IVF was a possible next step option. Talk to Dr. Kuang and staff. Know and understand your options. Then make the best, informed decision for you. Dr. Kuang made us feel great at our first visit. He inspires confidence. The staff is outstanding. We decided on Dr. Kuang because of his reputation and personal meeting. What we valued most was the personal touch that shows care and concern. On the day of my procedure it was well-planned, thorough prep before procedure. The preparation and knowing what to expect is what helped make the experience as comfortable as possible. My experience with conscious sedation was fine. The procedure room was very nice. It was unusual to see my own ejaculated sperm on the office microscope. My wife would be excited to see it! My recovery was slower than expected due to complication. It took about 9 days to become functional again at work. With the exception of the phone automated attendant time outs, everything was outstanding. We would absolutely recommend Dr. Kuang and his staff to other couples and without hesitation. I enthusiastically endorse Dr. Kuang. I think everything rated as better than expected. We absolutely feel we received the best vasectomy reversal care currently available. The vasectomy reversal was the best treatment option for us because it was the least expensive, most convenient and best odds. Dr. Kuang was professional and made us feel comfortable at our first visit. We decided on Dr. Kuang because he was the closest to Oklahoma and was recommend by a local Doctor. The staff was friendly and didn’t put themselves above the patient was what we valued most about our services. On the day of our procedure it went smooth and no issues. My experience with twilight sedation was good. I liked waking up periodically. I would recommend the mini incision technique. The procedure room seemed to be modern and adequate. Our experience with the hotel visit after the procedure was good, no issues. My recovery after surgery was longer than I expected. Yes we would recommend Dr. Kuang and his staff to other couples. We felt we got the best vasectomy reversal care currently available. The sperm retrieval with in vitro fertilization (IVF) was the best option for us because, genetically I have very low sperm count, erectile dysfunction, I had a groin injury several years back, severe mumps, typical chicken pox and hernia problems during my child hood. Also, I have severe blood pressure problems and borderline diabetes. Our advice for other couples who are looking at IVF and vasectomy reversal options is you should try, it doesn’t hurt to explore these new technologies. Dr. Kuang made us feel very comfortable and relaxed at our first visit. The staff was very nice and welcoming. The staff was also knowledgeable. We specifically decided on Dr. Kuang because he is the best and only one in Albuquerque. And he is very well respected also. The southwest fertility center for men website was very helpful and the videos. What we valued most about our services was the care and concern about me, friendliness of staff and physician. The anesthesiologist did such a great job that I didn’t feel anything. I slept throughout the whole time. What helped make the experience as comfortable as possible was the skills of the anesthesiologist and the doctor. My experience with anesthesia was very smooth and comfortable. My recovery was very smooth and comfortable. It took 2 weeks after to recover. The areas Dr. Kuang’s staff was most reliable was reminding me of my duties and dates. Yes we would recommend Dr. Kuang and his staff, most definitely. I cannot recall any other way you could of served me better. We felt we received the best fertility care currently available. Clomid did not cause any major side effects and I did not notice any major mood disturbances. We decided to be treated with medications to increase our chances of getting pregnant. Concerns with In Vitro Fertilization were an increase chance of multiples and morally or religiously acceptable. What helped us get through this challenging time was having each other, communication and faith. Our advice for other couples facing this reproductive challenge is to be patient, don’t get discouraged, be informed and learn about alternate options. After being on the medication for almost 2 yrs we were both getting a little anxious during our evaluation. That was our only episode of feeling but not depressed. What helped us get through these times was hoping for the best, staying positive. The staff made us feel comfortable, at ease when we were there they were never negative about my situation. Always was there when we had questions or concerns. We would ABSOLUTELY recommend Dr. Kuang and his team to other couples! Pregnant 2 yrs later after being on medication. To find out we were pregnant, we were EXCITED! HAPPY! Nervous! Our expected delivery date is 2/21/11. This will change our lives in every way possible… Our advice for other couples who are trying to conceive is to have faith, explore all alternate options. Dr. Kuang made us feel welcome, very informed and inspired about our situation at our first visit. The staff was awesome, Sonja was great! YES we would recommend Dr. Kuang and his staff! The vasectomy reversal was our best treatment option because it was the only way to reverse vasectomy. Our advice for other couples who are looking at IVF or vasectomy reversal is we highly recommend Dr. Kuang and all his staff. Dr. Kuang made us feel great and confident at our first visit. The staff was great, super and helpful. We specifically picked Dr. Kuang because of his specialty. fellowship, trained and experience in case numbers. Our thoughts on the website is it’s NICE!. We feel we received good value for the services provided. Our experience on the day of our procedure was easy and painless. What helped make our experience as comfortable as possible was the professionalism, compassionate RN’s and MA’s and the anesthesia went great. I had no recovery issues. We would recommend Dr. Kuang and his staff highly. You could improve your services by going on the road to smaller places. Microsurgical right vasovasostomy and left vasoepididymostomy. Our reasons for pursuing a microsurgical exploration to look for sperm was to have a better chance to have children due to our situation. Our advice for other couples who are looking at this procedure is to here with Dr. Kuang and his staff. Dr. Kuang made us feel very comfortable at our first visit. The staff also made us feel very comfortable and were knowledgeable. We decided on Dr. Kuang because he was recommended to us. What we valued most about our services was the people and the way they approached you. On the day of my procedure it was very pleasant other than the discomfort following. What helped make the experience as comfortable as possible was the people involved. My experience with anesthesia was fine. My recovery after surgery was as expected, a little tender. Took about 2 weeks to go back to normal activities all around. Dr. Kuang’s staff was reliable in all areas. Yes we would recommend Dr. Kuang and his staff to other couples, strongly. We felt we received the best infertility care currently available. The vasectomy reversal was the best treatment option for us because we didn’t want invasive treatments right away (IVF). We wanted to try as natural as possible. Our concerns with the In Vitro Fertilization was the hormone treatments and the expense. Other couples who are looking at these options is don’t put pressure on yourselves and just relax. The vasectomy reversal worked for us in 2 months. Dr. Kuang made us feel comfortable and confident. He is very friendly. The staff was very welcoming. They are very supportive. Sonja is great! We decided on Dr. Kuang because of his reputation and affordably. The website and the You Tube videos were all helpful as it was related to this procedure. What we valued most about our services was we had surgery 2/9/12 and conceived 5/5/12!!! Baby is due end of January 2013. I was a bit nervous the day of the procedure. The staff made me feel comfortable. They kept my wife informed. What helped make our experience as comfortable as possible was the friendly staff. My experience with conscious sedation was great. I talked with the staff and then fell asleep! My incision was very small. Less than 1 inch. I would absolutely recommend the “mini-incision”. The office procedure room was clean and comfortable. Very modern and sanitary. I have no complaints! To see my own ejaculated sperm on the computer in the office was very exciting! It gave us hope that this could actually work! Recovery after surgery I was swollen and bruised but nothing too bad. Healed in a couple of weeks although there was some discomfort for about 6 weeks. Dr. Kuang’s staff was most reliable with their communication and expertise. We would absolutely recommend Dr. Kuang and his staff to other couples without hesitation. We absolutely feel we got the best vasectomy reversal care currently available. To find out we were pregnant was amazing and exciting! We were not expecting it to happen this quickly. We were both jumping up and down! We found out with a home pregnancy test followed by a visit to the doctor. 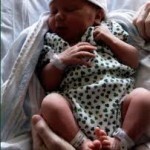 The vasectomy reversal was on 2/9/12 and our estimated date of conception was 5/5/12. Out expected date of delivery is 1/31/13. We anticipate this will change our lives by bringing much joy and happiness! We are both very excited about the new addition. We wanted a child together but didn’t know if it were even a possibility due to the vasectomy. This is truly a dream come true. We would absolutely recommend other couples to pursue a vasectomy reversal without a doubt. Our advice for other couples who are considering having a vasectomy reversal is don’t worry! You’re in good hands. Dr. Kuang and his staff do great work. Remain positive about the process. Oh! Take the recovery time seriously! Yes we would recommend Dr. Kuang and his staff without hesitation. They are informative, constantly follow up and genuinely care. The desire to start a new family helped us make the final decision to have a Vasectomy Reversal. Our biggest concerns were location, expertise and cost. We chose Dr Kuang because his location and credentials. He seemed very pleasant, well informed, confident and eager to help me understand. His staff was excellent. I would definitely recommend Dr Kuang. Sperm back 6 weeks later. It was amazing to find out we were pregnant. We found out with a home pregnancy test. Our estimated date of conception was May 16th. Our expected date of delivery is February 9th. I will hope that my age will help me appreciate every aspect of this pregnancy. We would recommend other couples pursue a vasectomy reversal. Our advice is that other couples see Dr. Kuang first. We would highly recommend Dr. Kuang and his staff. Two vasectomy reversals didn’t work (done elsewhere in Texas). We were out of sperm retrieved at the 2nd reversal so the sperm retrieval was our last option. The concerns we had with having a vasectomy reversal was it might not work. Our advice for other couples is to explore all options thoroughly. Dr. Kuang and the staff made us feel very comfortable and were very knowledgeable. We choose Dr. Kuang because we were referred. We had no problems with the sperm retrieval. What helped make our experience comfortable was Dr Kuang and his staff, their professionalism. I had no problems with the local anesthesia. My recovery from the sperm retrieval was fine and I felt recovered the next day. Yes, we would recommend Dr. Kuang and his staff. The vasectomy reversal was the best treatment option for us because we felt IVF was too invasive and we really wanted to try conceiving naturally if possible. Concerns we had with In Vitro Fertilization is too invasive. Other people had told us that the hormone changes were extreme and hard to deal with. Our advice for other couples who are looking at these options is: 1. Trust Dr. Kuang 2. Follow your intuition 3. Talk to others who have experienced these options. Dr Kuang made us feel at our first visit, very comfortable and valued as patients/clients. Not rushed. Sonja is awesome!! Very supportive. Made it feel like we were all in this together. We decided on Dr. Kuang from the good website information. Once I met him I knew he was right for us. We thought the website and You Tube was all very helpful and very informative. What we valued about our services was the personal treatment! The support and caring really made us very comfortable and it was a great experience. My experience the day of procedure, everyone at the Heart Hospital was very nice. The fact that they checked in with my wife every hour was appreciated. What helped make the experience as comfortable as possible was every time I woke up, the anesthesiologist was right there. My experience with anesthesia was groovy 🙂 It was pretty cool to see our own ejaculated sperm on the computer in the office after the procedure! Dr. Kuang printed a copy for my wife to see. My recovery after surgery I returned to work in one week. 10 days would of been better. We conceived almost 2 months to the day after the procedure! The area Dr. Kuang’s staff was most reliable was reliability (personal cell numbers), honesty and caring. We ABSOLUTELY recommend Dr. Kuang and his staff! You guys are fantastic and everything was great. We absolutely feel we got the best vasectomy reversal care currently available. Vasectomy 13 years. Vasectomy Reversal 5/5/11. Sperm back 4 wks later. Vasectomy Reversal was our best option because it was not very long after my vasectomy. It seemed like the Reversal would be our 1st and best option. Our advice for other couples is that natural conception seems like the best option if available, then other options if it is not successful. The first visit was very comfortable. I would not hesitate to recommend him. The staff were very knowledgeable and professional. Also very down to earth and caring. We chose Dr Kuang because he was the second doctor we consulted. The first did not seem as knowledgeable and his office was a wreck. Dr Kuang’s personal approach and experience made our choice easy. We were concerned about the cost and success rate of IVF. My experience on the day of the procedure was very good and all involved took the time to introduce themselves, that helped me to relax. I had no effects with anesthesia, went smoothly. Again, talking to everyone involved helped to make the experience as comfortable as possible. It was exciting to have a successful first step and see sperm in my ejaculate at 6 wks on the computer. The new fertility clinic is very clean and organized. It helped us to feel comfortable. I would recommend Dr Kuang and his staff. Left Vasovasotomy & Right Vasoepididymostomy. It was GREAT to find out we were pregnant. We used EPT to find out. We had our vasectomy reversal on September 5, 2007 and were pregnant 14 months later. Yes, we would recommend other couples to pursue a vasectomy reversal. Our advice for couples considering a vasectomy reversal is do it. Our reasons for pursuing a microsurgical exploration to look for sperm was because we always wanted a family. Dr. Kuang made us feel very comfortable, he was easy to communicate with at our first visit. The staff was great. They were knowledgeable and ran many tests to help me. We decided on Dr. Kuang because he came highly recommended. What we valued most about our services was the staff was friendly and made my services as comfortable as they possibly could. I was pretty nervous about the procedure and the staff calmed my nerves on the day of my procedure. What helped make my experience as comfortable as possible was the friendly staff. My experience with the anesthesia was much easier than I thought it would be. My recovery after surgery, I was just sore for a few days after. Dr. Kuang’s staff was most reliable in answering any questions I had. Yes we would recommend Dr. Kuang’s and his staff to other couples. Yes we felt we got the best infertility care currently available. The vasectomy reversal was the best treatment option for us because of the finance. Our concerns with the In Vitro Fertilization (IVF) was we were not sure it would work the first time. Our advice for other couples who are looking at these options is the surgery went well and everyone seemed to know most concerns and was able to address them. Very caring team. Dr. Kuang made us feel relaxed and confident of his ability at our first visit. Everyone was great and were knowledgeable on all concerns. We decided on Dr. Kuang because of the price and information on website. The website and You Tube was most helpful from the start everything was mentioned. Every person was concerned and you just don’t see that at every Dr. office today. On the day of my procedure I was relaxed and energized. Had no concerns of the procedure. What helped make the experience as comfortable as possible was everyone was extremely helpful. My experience with conscious sedation was not bad. I don’t remember a lot about it. The size of my incision was smaller than the incision from the vasectomy. I would recommend the mini-incision technique to other men. My impressions with the procedure room, everything needed looked to be close at hand. My experience was great so I don’t know if anything needs to be improved. My recovery was pretty quick. I didn’t realize how much time had passed. Yes we would recommend other couples to Dr. Kuang and his staff. I can’t think of anything that could of made our experience any better. Our experience was great. We felt we got the best vasectomy reversal care currently available. Right Vasovasostomy. Left Vasoepididymostomy with epididymal exploration. We decided on a vasectomy reversal because of the cost and his reputation of Dr. Kuang. Our concerns we had with the In Vitro Fertilization was the cost. Our advice for other couples looking for options is a vasectomy reversal is great for couples who believe that faith and fate are all that matter. Dr. Kuang made us feel great, warm, welcome and respected our intelligence at our first visit. The staff made us feel welcome and friendly. We picked Dr. Kuang because of his experience, fellowship, microsurgery experience and education. The best part of the website and or You Tube videos that were most helpful was the explaining of the procedure. What we valued most about our services is feeling comfortable about the whole thing. My experience on the day of my procedure was smooth, executed but not anxious. What helped make my experience as comfortable as possible was the attention to detail. My experience with anesthesia was great. The staff called to update my wife during surgery. I would recommend the “mini-incision” technique to other men. It was awesome and exciting to see my own ejaculated sperm on the computer in the office. My recovery after the surgery to 3-4 weeks. I only had 4 days of discomfort. The areas Dr. Kuang’s staff was most reliable was making me feel comfortable and welcome. Yes we would recommend Dr. Kuang and his staff to other couples. How you could of served us better is nothing. Yes we felt we got the best vasectomy reversal care currently available. Our reasons for pursing a varicocele surgery was better fertility for me. Our advice for other couples who are looking at this procedure is it’s easy, no problem. Dr. Kuang made us feel good, optimistic at our first visit. The staff made us feel good and were knowledgeable. We decided on Dr. Kuang because we were referred from another doctor. What we valued most about our services was the friendliness with the patients. My experience on the day of my procedure, I was a bit nervous but felt good about it. What helped make the experience as comfortable as possible was getting all the information I need and answering all my questions. I don’t remember much about my experience with the anesthesia. My recovery was fine after surgery. I was up and around in a day but it took a few weeks to fully recover. Dr. Kuang’s staff was most reliable in providing information and answering questions. We would recommend Dr. Kuang and his staff to other couples. Dr. Kuang could have served us better by accepting our insurance. We did feel we received the best infertility care currently available. It was a relief to find out we were pregnant. We knew we would eventually, but it was a surprise and a blessing to happen so soon. We found out by tracking it since the reversal. We expected it each month and this time the test was positive! We had the vasectomy reversal on Sept. 10, 2008 and were pregnant 5 months later. The baby is due in November 2009. Having this baby will complete our family. Our advice for other couples considering a vasectomy reversal is do it. It is definitely worth the money, especially considering we got half back with our taxes. E & R (Albuquerque, New Mexico – March 30, 2009). Right Vasoepididymostomy & Left Vasovasostomy. The reason we decided on a sperm retrieval instead of a vasectomy reversal was because my wife was diagnosed with breast cancer and must undergo chemotherapy. Our advice for other couples who are looking at these options is this was relatively a simple procedure with the best chances of a positive outcome. Dr. Kuang made us feel excellent at our first visit and very knowledgeable. The staff was very nice and welcoming. We decided on Dr. Kuang because of recommendation from other doctors. My experience with the sperm retrieval I had no issues. It was very quick and virtually pain free. What helped make our experience as comfortable as possible was the staff and Doctor. My experience with anesthesia was fine. The vasectomy reversal was the best treatment option for us because it seems the most natural way to conceive. The main concern we had with the vasectomy reversal was the cost. The advice we have for other couples is try a vasectomy reversal first. The mojo is much better! Dr. Kuang made us feel absolutely at ease and confident in his abilities. The staff is incredibly nice and helpful. We decided to go with Dr. Kuang because we looked him up and did research and he was the best. After our meeting we were 100% sure we made the right decision. Seeing Dr. Kuang’s website and You Tube videos took the mystery out of the operation. We absolutely think we received good service mostly because Dr. Kuang is such a great doctor. Check in was very easy on the day of my procedure. The doctor was exceptional with easing anxiety before the operation. Truly felt at ease. Everybody was kind, focused and gentle. Dr. Kuang made sure he was available after surgery by phone with any questions. The anesthesia went smoothly and was very helpful not to be awake. To see our own ejaculate sperm on the computer in the office was exciting! The recovery after surgery was difficult but within reason. We would absolutely recommend Dr. Kuang and his staff. G & E (Santa Fe, New Mexico – March 2, 2010). We decided on doing the sperm retrieval with in vitro fertilization because of us having bad motility and morphology with my ejaculated sperm. Our concerns with the vasectomy reversal is it wouldn’t work for us. Our advice for other couples would be go for what works for you. Dr. Kuang made us feel welcome and comfortable on our first visit. Dr. Kuang spoke to both of us. The staff made us feel welcome and comfortable. The staff was very excellent. Sonja is great. We decided on Dr. Kuang because he was confident, knowledgeable, human and not creepy. We feel we were provided with good value services. What made my experience comfortable was the lidocaine. My experience with the local anesthesia was fine, until it wore off. My recovery from the sperm retrieval was 1 day. Recovery was fine as soon as I got the pain killer. We would absolutely recommend Dr. Kuang and his staff. No improvements needed. You guys are doing a great job. We’re very pleased with our experience. The vasectomy reversal was the best treatment option for us because I had a vasectomy, remarried and we wanted a child naturally. The In Vitro Fertilization seemed less desirable. If necessary we’d explore the option. Dr. Kuang made us feel very comfortable at our first visit. Dr Kuang talked to us as a couple not just to me. Sonja and the staff are great. We chose Dr. Kuang because friends in the medical community spoke highly of Dr. Kuang. The day of my procedure I don’t remember much. My wife liked how she was constantly updated during the procedure. The experience was comfortable because the staff was good and my wife and I were included in the process. The anesthesia made me feel groggy all day. Don’t want to repeat it. To see my own ejaculated sperm on the computer in the office was great. My wife was thrilled. My recovery after surgery was very long. Much longer than I expected but the after care was excellent. We would recommend Dr. Kuang and his staff absolutely with no reservations. Sperm back 5 months later. My husband had his vasectomy at 21 years old. We are both still relatively young and that’s why we chose the vasectomy reversal. We felt that the vasectomy reversal would be our best first option in trying to conceive. We never considered in vitro fertilization. Our advice to other couples is the reversal surgery may seem intimidating but the idea of creating life far out weights the fear and pain you may experience. Dr. Kuang made us feel completely at ease. We knew we were in good hands. The staff made us feel very comfortable and were very knowledgeable. We chose Dr. Kuang specifically because he was local and highly recommended. My husband was a little nervous on the day of the procedure. He was taken right back. I was able to sit with him until surgery. It was over before we knew it. The entire TEAM introduced themselves before the procedure. I received calls throughout the surgery to let me know how things were progressing. The anesthesia worked great. He didn’t remember a thing. Groggy for a few days afterward. To see our ejaculated sperm on the computer in the office, we were ecstatic!. The recovery after surgery, was a lot of discomfort for the first week. Gradually began feeling better each day after that. We would definitely recommend Dr. Kuang and his staff! We researched both options and decided that a vasectomy reversal would be the most natural, cost efficient means to conception. Our concerns with the in vitro fertilization (IVF) was the success rate is lower, more costly, more time consuming, more invasive long terms. Our advice for other couples, who are looking at these options is, do your research. Dr. Kuang made us feel extremely comfortable, welcome, willing to listen and answer any questions or concerns we had. Sonja is absolutely amazing! She is always available via telephone, encouraging and has an incredible personality and attitude. We specifically decided on Dr. Kuang because he was knowledgeable, experienced, testimonials, bedside manner and calm demeanor. Our thoughts on the website and You Tube videos was they are very informative and user friendly. We feel that we absolutely received good value for the services that were provided. You can’t put a value on possibly bringing a new life into the world. Our experience on the day of the procedure was comforting. Everyone was very pleasant, reassuring, professional staff. What made the experience as comfortable as possible for my wife was receiving phone calls (updates) during the procedure. For me, the staff keeping me informed of what was taking place along the way. My experience with the anesthesia was the anesthesiologist was very reassuring. That was cool to see my own ejaculated sperm on the computer in the office! The print out was the best part. We will be showing our friends and family and putting it on the fridge. The first few days were uncomfortable after the surgery but tolerable with the medication prescribed. There after, as the days progressed, every day was an improvement. We would absolutely recommend Dr. Kuang and his staff with 100% confidence! Sperm retrieval with IVF was the best option for us because we have low motility in sperm after having the vasectomy reversal. The concerns we had with the vasectomy reversal besides the pain was what if it doesn’t work? The advice we have for other couples is Dr. Kuang is a wonderful and skilled Dr. and there is no need to go out of state for the any procedure. Dr. Kuang made us feel comfortable and gave us a great understanding of possible outcomes. The staff was wonderful. We picked Dr. Kuang because if his knowledge of expertise. We feel we received good value for the services provided. Our experience during the sperm retrieval was very uncomfortable. I would not like to do it again any time soon. Nothing helped make my experience comfortable. Dr. Kuang did try to take my mind off of the procedure but I don’t take pain very well. The experience with the local anesthesia was not so good. I was stressed if the first dose would not take. I am still recovering from the sperm retrieval. I would recommend Dr. Kuang and his staff. We would absolutely recommend other couples to pursue IVF who face the challenge of obstructive azoospermia. Our advice for other couples considering IVF is to be mentally prepared for set backs, but good things can happen if you’re tenacious. It’s amazing to be part of this generation where medical innovations make the impossible >possible. We recommend Dr. Kuang and his staff without hesitation, YES! Dr. Kuang and his staff were genuine professionals and advocates for us through the whole journey. The vasectomy reversal was the best option for us because previous history of 2 vasectomy reversals were unsuccessful by another Dr. and wanted to try again. Our concerns with IVF, #1 cost, #2 possibility of multiple births overwhelming. Our advice for other couples is ask questions, be informed. Dr. Kuang made us feel at ease, informed and that he genuinely cared at our first visit. The staff was very friendly that put us at ease and lessened anxiety. We decided on Dr. Kuang because we were referred by our Dr. who did the last vasectomy reversal that was unsuccessful. What we valued the most about our services was the “beside” manor and concern after follow up as well as being informed throughout the procedure. My experience on the day of the procedure, the events took place like “clockwork” as mentioned how they would occur. What helped make the experience as comfortable as possible was being informed 100% of the way. The anesthesiologist department was very commutative. We recommend the “mini-incision” technique as long as the couple understood the procedure entirely. The procedure room was nice for the hospital room. In the recovery room the nurses were very patient since he had nausea after anesthia wore off. Dr. Kuang’s staff was most reliable on being informative, supportive and helpful. Yes we would recommend Dr. Kuang and his staff to other couples. We felt we received the best vasectomy reversal care currently available considering this was not our first vasectomy reversal but is our last one. Vasectomy 14 years ago. 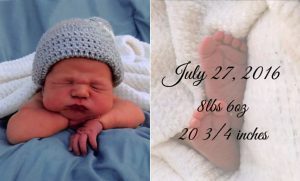 Vasectomy Reversal 7/25/12. The vasectomy reversal was the best option for us because my wife and I wanted more kids. We did not look into the In Vitro Fertilization. Our advice for other couples who are looking at options is to look at all your options and decide on the best doctor to perform the procedure. “I did”! Dr. Kuang made us feel very comfortable. He made us feel as if we made the right choice. The staff always made us feel welcome and were helpful. We picked Dr Kuang specifically because of the internet! We looked at several doctor’s that performed this procedure. He seemed to have a high percentage of success. The website and You Tube videos were most helpful process as a whole. We valued the complete service we received from beginning to the end. My experience on the day of the procedure, I was nervous and the staff helped keep me calm. The staff being helpful and confident helped make my experience as comfortable as possible. My experience with the anesthesia was ok. We would recommend the “mini-incision” technique to other men. It was kinda crazy to see my own ejaculated sperm on the computer in the office. That was when we knew it worked. I recovered maybe a couple of weeks after the procedure and was able to get back to whatever I wanted. Checking up on us was where Dr. Kuang’s staff was most reliable. Yes we would recommend Dr Kuang and his staff. Most definitely. 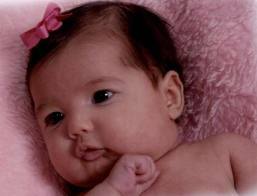 I don’t think it would be possible if we could of got served better because we had our daughter Chloe Ann on 10/22/09. Now Mason Joseph is due on 11/22/11 because of Dr. Kuang and staff. We now have two more children than we did and our family is finally complete now. Thank you so much. Our older kids Kinzie and Jared love their little sister and are excited about the new addition coming. I will get you pics soon. We felt we got the best vasectomy reversal care currently available! Babies were due on 10/22/09 & 11/22/11. We have 2 children. After our sons difficult birth we had a vasectomy, 5 yrs later we feel we are prepared to go through challenges to have more children. We want more children. With IVF we would have to repeat procedure every time we wanted to have another child. Our advice for couples is research your options and make decisions that are right for you and your situations. Research your procedure success rates and physician. Dr Kuang made us feel at ease, very informative and great bed side manner. The staff was great. Sonja was very nice! We chose Dr Kuang because of his qualifications and training. Our experience on the first day of our procedure was calm, organized and eventful. What helped make our experience as comfortable as possible was the staff, knowing what to expect and knowing this surgery might give us a chance to have more children! My experience with anesthesia was great, no complications. To see my sperm on the computer was good! With complex procedure we didn’t expect to see sperm so soon! My recovery was easy. Followed Dr Kuang’s orders and took it easy. After 4 weeks was feeling almost back to normal. I would recommend Dr.Kuang FOR SURE! Dr. Kuang has been so great. Staff is wonderful! To find out we were pregnant was UNREAL! We wanted to test because we thought there was no way it would happen so soon! We cried and were so excited. We found out when my wife had been sick for a few weeks but we postponed testing at first thinking we were just getting our hopes up. My wife took home a pregnancy test and had come to tell me. We have been blessed with 2 children already this will just make our dreams of having a big family a reality! We are thrilled beyond belief! We found the new office with our navigation system, office was nice. We would recommend couples to pursue a vasectomy reversal for sure! We always kept in the back of our minds we may not be able to conceive but thought it was worth a shot. Never know unless you try! Our advice to couples would be to keep all possibilities in mind. Take vitamins, learn to deal with stress and have fun trying. We would recommend Dr Kuang in a heartbeat! Left Vasovastomy & Right Vasoepididymostomy. 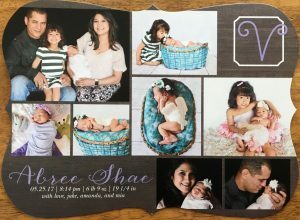 The vasectomy reversal was the best option for us because in hopes to have more children after a vasectomy 5 years ago. The recent vasectomy and my age seemed to be the logical reason for this choice. We had no concerns with In Vitro Fertilization (IVF). We enjoy “natural” conception. Our advice for other couples who are looking at these options, I would say GO FOR IT! The procedure is not as bad as you’d expect and affordable. Dr. Kuang made us feel comfortable after speaking with him I was not as nervous at our first visit. The staff helped me relax and boosted my confidence. They were very knowledgeable. We specifically decided on Dr. Kuang because we read and explored his website and was impressed. The parts of the website and or You Tube videos that were most helpful was the procedural details and recovery instructions. What we valued most about our services was the compassionate care and reassurance that everything will be fine. Also the encouraging observation of sperm in my specimen. My experience on the day of my procedure was much better than I expected. The staff was extremely comforting and supportive. What helped make our experience as comfortable as possible was the drugs and caring staff and positive reinenformacment. My experience with conscious sedation was greater than expected. I slept through is all! I would recommend “mini-incision”. Our impressions on the new procedure room, very impressive! Honestly, I didn’t notice anything that needed improvement. It was amazing to see my own ejaculated sperm on the computer in the office! Truly fascinating. It took me about 2 weeks to recover after the surgery. It’s still a bit tender, but that’s to be expected for a while. Dr. Kuang’s staff was most reliable in ensuring comfort ability to the utmost extent also keeping my wife updated with my status. We would recommend Dr. Kuang and his staff to other couples! How could you have served us better, nothing comes to mind. We sure did feel we were getting the best vasectomy reversal care currently available! And I would do it again. A vasectomy reversal was the best option for us because it was less expensive than adoption or any other option we researched. Our concerns with In Vitro Fertilization was a sperm donor and the cost. Our advice for other couples who are looking at these options is a vasectomy reversal can be a great alternative if you find a great doctor like Dr. Kuang. Dr. Kuang made us feel connected right away at our first visit. Remembered details from the phone conversation. I felt very comfortable. The staff was great at answering all of my questions. We decided on Dr. Kuang because of his credentials and other customers experiences. All information was helpful from the website and the You Tube videos. The staff was very supportive of our decision to have more children. That is what we valued most about our services. On the day of our procedure my experience was exceptional! No surprises and very relaxing. What helped make the experience as comfortable as possible was the great staff and anesthesia 🙂 My experience with the conscious sedation was fantastic! Fastest 4 hours of my life. Our impressions of the office procedure room was great! Comfortable and roomy. Our experience with the hotel visit after the procedure was very professional but very personable too. We spoke for about an hour about other things. Dr. Kuang is very down to earth and sincere. My recovery after surgery was great. I felt pain there after just a few days (stopped using Percocet after day 3). Dr. Kuang’s staff was most reliable on giving information and answering questions. We would absolutely recommend Dr. Kuang and his staff to other couples! I was pleased in every aspect of the experience. Dr. Kuang and his staff exceeded my expectation in every way possible. We felt we received the best vasectomy reversal care currently available. To find out we were pregnant was very exciting and encouraging! We found out we were pregnant with a pregnancy test. Our vasectomy reversal was on 12/1/2011. Our estimated date of conception was April 7th ish… Our expected date of delivery is 1/8/2013. We anticipate this will change our lives being back to the baby routine! A real blessing, we miss those days. Why we recommend other couples to pursue a vasectomy reversal is if they are seriously considering having more children, most definitely! Our advice for other couples who are considering having a vasectomy reversal is just do it! You’ll be glad you did. Would we recommend Dr. Kuang and his staff? I wouldn’t recommend anyone else! Absolutely! We were excited to find out we were pregnant. It will bring more joy and will change our lives. Our advice for couples looking at IVF is be prepared. It’s not easy to do IVF but it is worth it. Yes we would absolutely recommend Dr Kuang. Vasectomy Reversal was the best treatment option because the cost/success ratio was better than in vitro (IVF). The high cost/low success rate. Dr. Kuang made us feel at ease right from the start. The staff made us feel at ease as well. Everyone I came into contact with was awesome. My research online brought me to Dr Kuang. He had the best credentials. On the day of my Vasectomy Reversal, check in was quick and easy. I met everyone who would be in the OR and they were Great. The staff did everything possible to make it as comfortable. Anesthesia was not fun. Everything went according to plan, I had never been under before. I did not like the feeling of coming out from under anesthesia. I want to stress that I had no complication just did not like it. The new office was very easy to find. It was neat, clean and well kept. To recover after the vasectomy reversal I would recommend take the next 3 to 4 days off work. Get an ice pack. I was up and moving slow the first few days. By day 4 I was ready for work but no big physical activity for about 1 week, then slow and easy. I would very much so recommend Dr Kuang and his staff. J & K (Albuquerque, New Mexico – September 21, 2011). Vasectomy 4 years ago. Vasectomy Reversal 12/31/09. Right microsurgical vasovasostomy. Left microsurgical vasoepididymostomy with use of operating microscope. We didn’t consider in vitro fertilization. Vasectomy reversal seemed like a very practical first option. We also wanted the most natural conception. In vitro fertilization was not an option for us right now. Not as natural and too costly. Our advice for other couples looking at these options is start simple! Go with the vasectomy reversal if your both healthy. On our first visit, Dr. Kuang made us feel awesome! Very, very good doctor. The man knows his stuff! He was very understanding and genuine. Worked with us as a couple. The staff made us feel awesome also! Very nice and very helpful. Sonja was so friendly and made herself available to answer questions. We decided on Dr. Kuang because we came across his website and we really like it! Got a good impression right away. Website was very informative and got a good feeling off of it. Talked about Dr. Kuang’s qualifications. The personal stories were very encouraging. We absolutely think we were provided with good services. The cost was reasonable for all the excellent care we received and it was all inclusive. Our experience on the day of my procedure went as planned, no issues. What helped make our experience comfortable as possible was everybody was very personable and concerned about my well being. To see my own ejaculated sperm on the computer in the office I loved that part! I couldn’t stop staring at the screen. The recovery after surgery was fine. I was up and going after 3 days!. The pain was minimal, not as bad as we expected. We would ABSOULTLEY recommend Dr. Kuang and his staff! YES! YES! YES! Vasectomy 8 1/2 years ago. Right microsurgical vasavasostomy. Left misrosurgical vasoepididymostomy. We were speechless to find out we were pregnant. Then ecstatic and exited about a baby we wanted so much. This will change our lives in all good ways-We cannot wait to share our lives. To couples who are trying to conceive, never give up. There are many, many options and we relied on all of our doctors to give us the best advice for our situation. Dr Kuang was wonderful, very trusted and never promised what he could not deliver. The staff was wonderful as well. We would recommend Dr Kuang and his staff, YES!!!! K & K (Santa Fe, New Mexico – June 30, 2009). Our reasons for pursuing a microsurgical exploration (Micro dissection/Microtese) was we wanted to have a baby. After trying for two years we knew something was wrong. Dr. Kuang informed us of the procedure and we felt that this gave us our best chance for conceiving. Our advice for other couples who are looking at this procedure is talk to each other about it as much as you can. Talk about how you will handle it if it works or doesn’t work. Be supportive. Dr. Kuang made us feel very comfortable at our first visit. We felt that he understood how we were feeling and how unsure we were about the entire process. The staff made us feel very comfortable and were knowledgeable. We decided on Dr. Kuang because we were referred to him by Dr. Caperton. What we valued most about our services was the knowledge that Dr. Kuang and the staff had. On the day of the procedure I don’t remember much because of the anesthesia but I do remember the staff being very professional and feeling lots of pain after. What helped make the experience as comfortable as possible was the professionalism of the staff. The experience with the anesthesia, I handled it well. No side effects. My recovery after surgery was painful the first 48 hrs. then I started to feel comfortable moving around. The first week I had to be careful when I sat down cause of the swelling. We would recommend Dr. Kuang and his staff to other couples. How you could of served us better is we had our scheduled appointment and changed to a later date about 3 weeks prior to the scheduled appointment. I was not too happy about this. We did feel we got the best fertility care currently available. L & A (Albuquerque, New Mexico – August 15, 2012). To find out we were pregnant, we were both very excited, we were not expecting it to happen so fast. We found out with my wife, she went to the hospital to have blood work done and they informed us. My vasectomy reversal was on 4/12/12. The estimated date of conception was 4/24/12. Our expected date of delivery is 1/15/13. We are thrilled to be starting a family and are so thankful for Dr. Kuang and his staff. Yes we would recommend other couples to pursue a vasectomy reversal! Starting a family would never be possible for us without Dr. Kuang. Our advice for other couples is go for it! It is so worth it! Dr. Kuang and his staff made us feel extremely comfortable with our decision to do the vasectomy reversal. Yes we would recommend Dr. Kuang and his staff! We have never met a more caring/understanding medical staff! The vasectomy reversal was the best treatment option for us because we wanted to add to the family. Dr. Kuang made us feel great at our first visit!. The staff was wonderful! We chose Dr. Kuang because after talking with him he made us feel very comfortable about the procedure. Our thoughts on the website and You Tube videos was very informative and perfect! We feel we received good value for the services we were given! The day of the procedure was perfect! The staff was professional and had great bedside manner. What helped make the experience comfortable as possible was knowing what was going to happen and the great staff. My experience with anesthesia was great! To see our own ejaculated sperm on the computer in the office was amazing! My recovery was fine, zero issues. We would recommend Dr. Kuang and his staff!!! There is no where to improve your services. Dr. Kuang! Thank you so much for everything! Matt sailed through recovery and the procedure went very smooth but our biggest news is that I became pregnant 4 weeks after surgery!. We are so excited. I am almost 9 weeks pregnant and doing well! Thank you, thank you! M & E (Albuquerque, New Mexico – February 8, 2010). 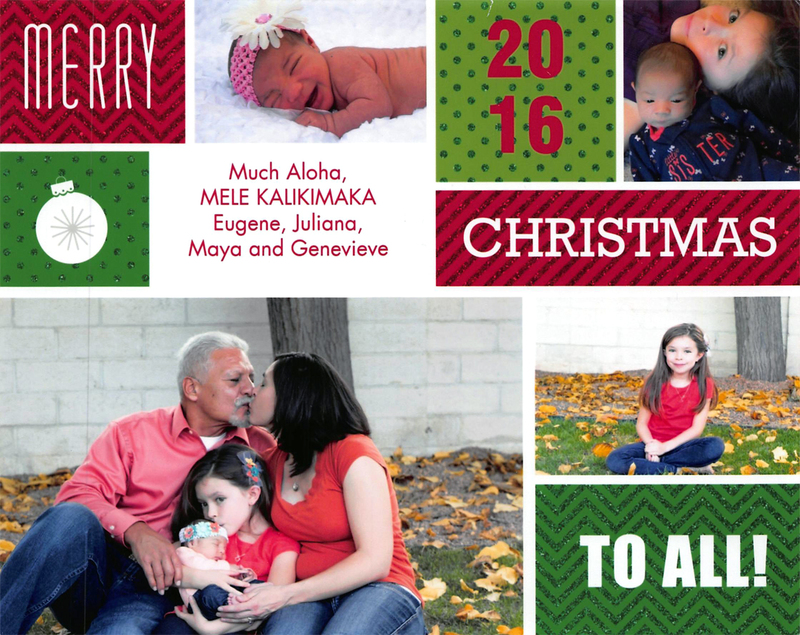 A vasectomy reversal was the best option for us because we wanted a larger family naturally. Our advice for other couples is we highly recommend Dr. Kuang and his staff. You all were great. We’d tell everyone and anyone how great your group handled us all. Dr. Kuang made us feel very comfortable at our first visit. We were relieved that he had a great personality. We loved the staff. Sonja and everyone else were great. And yes they were all knowledgeable. We went through the whole website and gooled Dr. Kuang. We valued most about our services was the concern and care for us you all had before and after his procedure. On the day of our procedure, we got there early and Sonja welcomed us with a huge smile. The biggest thing that helped make our experience as comfortable as possible was the staff. It’s hard to be comfortable and relaxed when the people working on you act uptight. My experience with sedation was fine. I had a bilateral vasovasostomy and my incision was not too big. I would recommend the mini incision technique to other men. The procedure room was comfortable. You could improve your procedure room with a heater…..kidding….It was cold in there. Our experience with the hotel visit after the procedure was good. It was very convenient because we had all our kids and I was still out. I am still recovering and sore. Dr. Kuang’s staff was most reliable in all areas. Sonja was great. We would most definitely recommend Dr. Kuang and his staff to other couples!!!. You could of served us better being closer to Topeka. We feel we got the best vasectomy reversal care currently available. The vasectomy reversal was the best option so that we could try naturally to conceive. The concerns with the In Vitro Fertilization was too expensive and not 100% effective, (no fun in that!) We advice other couples to do what you feel is best for the both of you. You are on this journey together. Dr. Kuang made us feel on our first visit very comfortable, confident and excited. The staff was very good. Sonja is the best and very knowledgeable. We chose Dr. Kuang because he was in town, recommended by our female fertility doctor, Dr. Thompson. Our experience on the day of the procedure, I was nervous but relieved once we saw Dr. Kuang. What helped make our experience comfortable was the anesthesia martini’s. The experience with the anesthesia was great! Don’t remember a thing! To see my ejaculated sperm was strange but only after 4 weeks, amazing!! The office was nice. The recovery after surgery I was very sore and mad at the world but after a few days I felt better. Recovery was 2-3 weeks. We would recommend Dr. Kuang and hi staff absolutely! With no doubt!! Wonderful crew!! Vasectomy 2 1/2 years ago. The vasectomy reversal was the best option for us because it was least expensive and the most effective for my age. Our concerns with the IVF was the possibility to have more than one child and very expensive. Our advice for other couples looking at these options are we recommend this clinic 100%. Dr. Kuang made us feel very comfortable at our first visit and he has a way with people. The staff is awesome! We decided on Dr. Kuang specifically because originally the price but also because he is an excellent Dr. The professionalism of the website was most comforting. When making this decision from after, the website and You Tube was a great help to see the professionalism of the site. What we valued most about our services was the professionalism. Our experience on the day of our procedure was efficient and I was provided with the good advice on staying relaxed. What helped make my experience as comfortable as possible I was as comfortable as I could be with the staff etc. The conscious sedation was good much unconscious, very relaxing. I would recommend the “mini-incision” technique to other men. The procedure room was good, though I slept most of the time. We feel you could have improved the procedure room with a water feature. That’d be good Our experience with the hotel visit after the procedure was good as would be expected, not too much pain. It was awesome that Dr. Kuang came to our room for a follow up. Dr. Kuang’ staff were most reliable by being quick to answering all my email questions. We would absolutely recommend Dr. Kuang and his staff! The service we received was great! We absolutely feel we received the best vasectomy reversal care currently available! PS-As of 6/29/12, we are 6 weeks pregnant!! Thanks!! It was kind of shocking to find out we were pregnant because it only took 2 months of trying or we got pregnant on the third month. We found out we were pregnant with a pregnancy test all the time, ha. Our vasectomy reversal was on February 2nd. Our estimated conception date was June 1st. Our expected date of delivery is February 16th. One is none and two is ten, or so I’ve been told. We’re excited for number 2. We recommend to other couples pursing a vasectomy reversal only if you want to have more kids. Our advice for other couples considering having a vasectomy reversal is do it at Southwest Fertility Center!! We would recommend Dr. Kuang and his staff 100%. After many years of trying to get pregnant on our own with no success, we were counseled that the retrieval would increase our chances combined with IVF. That was why a sperm retrieval with In Vitro Fertilization was the best option for us. Our advice for other couples looking at the options of IVF or vasectomy reversal is do your homework, find Dr.’s/staff you can trust and talk everything out with your partner. Patience is a must. Dr. Kuang is an amazing man. Obviously this issue is very difficult to cope with. Dr. Kuang makes you feel like you have a chance. The staff was great! I was referred to Dr. Kuang. After meeting him I knew he was the right Dr. for me. What we valued most about our services was the relationship with Dr. Kuang. I was nervous and it seemed as though it would be awkward. However the prep, procedure and follow up was top shelf. Exceptional care pre, during and post! The staff helped to make me comfortable. Dr. Kuang helped to ease my nerves by showing concern, explaining the process and by showing care and displaying grace during the procedure. My experience with the local anesthesia was fine, no issues. Recovery was smooth. It took about 3 weeks to feel normal. Dr. Kuang’s staff was most reliable in all areas. Great service, care and follow up. We would ABSOLUTLEY recommend Dr. Kuang and his staff to other couples!. You could of served us better with fresh baked chocolate cookies 🙂 We felt we received the best infertility care currently available. It was exciting, emotional and amazing to find out we were pregnant. Our expected date of delivery is November 1, 2012. I believe the hole in my soul will be filled. That will be a change in our lives. Never been more excited about anything. We would recommend other couples to pursue IVF. Our advice for other couples considering IVF is the process is one that requires patience and communication. Remember the goal is to get pregnant and start a family. Everything along the way there will be a challenge be and stay focused on the goal. We would absolutely recommend Dr. Kuang and his staff! Dr. Kuang and Sonja are absolutley the best! Bantering with Wayne Kuang- (Good Guy) made the experience comfortable. Dr Kuang made me feel good my first visit. He is a great guy. The staff make me feel comfortable. The staff seemed to be knowledgeable. We were so excited to find out we were pregnant and that it happened so quickly. We are very excited to expand our family. We found out by taking a cheapie in the morning and saw a line! So we took a digital and it said pregnant! Since our kids are 6 & 7 it’s been a while since we’ve had a baby in the house but we know that this baby will bring much love and joy to our lives! Dr. Kuang’s office made us feel very comfortable. We would recommend other couples to definitely to pursue a vasectomy reversal! Our advice for other couples is it’s a hard decision to make but we are so glad we chose to have Dr. Kuang perform the surgery. We would definitely recommend Dr. Kuang and his staff, we love them! To find out we were pregnant was shocking and thrilling because it happened so quick! We took a pregnancy test at home when my period was late. The vasectomy reversal was on 2/7/12 and our estimated date of conception is April 14th-ish, 2012. Our expected date of delivery is 1/2/13. We can’t wait how this will change our lives! We would absolutely recommend other couples to pursue a vasectomy reversal! Our advice for other couples who are considering having a vasectomy reversal is be prepared for all possibilities. A quick pregnancy after 1-2 years or no pregnancy. Yes we would recommend Dr. Kuang and his staff!!! After having a vasectomy, we decided on a sperm retrieval for IVF. My biggest concerns were complications and pain. Dr Kuang involves confidence and eased my mind. Sonja, his fertility guide was outstanding. Our advice for other couples considering sperm retrieval for IVF is go for it! I would absolutely recommend Dr Kuang! It was incredibly exciting to find out we were pregnant as my wife and I thought it would take much longer than it did. We were both amazed and grateful. We found out we were pregnant because my wife was not feeling herself and took a pregnancy test just for the heck of it. It took only 4 months…WOW! January 7th 2009. This will change our lives because I have a 5yr old daughter from a previous marriage and my wife has a 4yr old from previous marriage–This is out first together and we plan to have at least one more! We absolutely recommend other couples to pursue a vasectomy reversal but they must go to Dr. Kuang. he is absolutely the best. Our advice for other couples is do your research and stay positive. We would absolutely recommend Dr. Kuang and his staff without a doubt. Vasectomy reversal was the best treatment option for us because we want a future family and I had a vasectomy 6 yrs. ago. Our concerns with the In Vitro Fertilization (IVF) was it’s not natural. Our advice for other couples is do your research and go with the most comfortable person for you. Dr. Kuang made us feel great, awesome and relaxed at our first visit. The staff also made us relax and were knowledgeable. We decided on Dr. Kuang because of his website, personal attention. All of the website and You Tube videos were helpful. The website answered all our questions. What we valued most about our services was the personal attention. I was nervous and anxious on the procedure day. Dr. Kuang talking to me made my experience as comfortable as possible. My incision was small. I would recommend the “mini-incision” technique to other men. It took me about 2 hrs. to recover after the surgery. Dr. Kuang’s staff was most reliable in making sure I was ok and comfortable. Yes we would recommend Dr. Kuang and his staff. You all served us great on serving us. We felt we got the best vasectomy reversal care available. Dr. Kuang made us feel very comfortable at our first visit. The staff made us feel calm and informed. We decided on Dr. Kuang because of our conversation confirmed website knowledge. The you tube videos and website were very comprehensive but details helped. What we valued most about our services was after 21 years since my vasectomy I felt I had the best chance of success with Dr. Kuang. On the day of my procedure it was efficient, Heart hospital was great. What helped make our experience as comfortable as possible was knowing that Dr. Kuang was in charge. My experience with the anesthesia was pleasant. The anesthesiologist was very patient and knowledgeable. My recovery after surgery I can’t say because it’s only been one day after my surgery but I feel great. The area Dr. Kuang’s staff was most reliable was communication. We would recommend Dr. Kuang to other couples! We felt we got the best vasectomy reversal care. We rate our overall experience good, but they didn’t recognize discount, but was able to get Heart Hospital discount. We also would recommend the Embassy Suites to other out-of town patients. What we liked about the location was everything is close! The Embassy Suites amenities were very comfortable. Staying close to Southwest Fertility Center for Men and the surgical center helped us with feeling comfortable away from home. R & A (Littleton, Colorado – August 25, 2011). To find out we were pregnant was very exciting. We found out with a pregnancy test. The vasectomy reversal was on 11/08 (14 yrs post-vas!). Our estimated date of conception was June 12 2009. January 20, 2010 was our delivery date. Dr. Kuang’s office was clean and up to date. We would absolutely recommend other couples to pursue a vasectomy reversal, yes. Our advice for other couples considering a vasectomy reversal, it’s the best way to go. We would absolutely recommend Dr. Kuang and his staff. R & A (Santa Fe, New Mexico – November 11, 2010). Sperm back 6 months later. The reason we decided on a sperm retrieval instead of a vasectomy reversal was because I had a vasectomy and my wife had a tubal ligation so it would be easier to go through INF rather than going through vasectomy reversal 🙂 Our advice for other couples looking at these options are to get your medication refilled before procedure. We had it all done in one day. Perfect for us but at consult get medication filled prior to procedure 🙂 Dr. Kuang made us feel great and very personable at our first visit. The staff are awesome. We decided on Dr. Kuang because we heard he is the best and we found out he is the best 🙂 What we valued about our services is the successful procedure 🙂 My experience with the sperm retrieval I was surprised it was not as bad as I imagined. What helped make the experience as comfortable as possible was the early morning appointment. My experience with the local anesthesia was perfect!! Still recovering. If you take pain meds, no pain. Dr. Kuang’s staff is most reliable in all areas. We would absolutely recommend Dr. Kuang and his staff to other couples. We feel we received the best fertility care currently available. To find out we were pregnant was surprising especially when the second one came along without medical intervention! How we found out we were pregnant was Dr. Thompson’s office called and said, “Have you taken a pregnancy test lately?” My vasectomy reversal was on 5/9/2007. Our estimated date of conception was August of 2008. 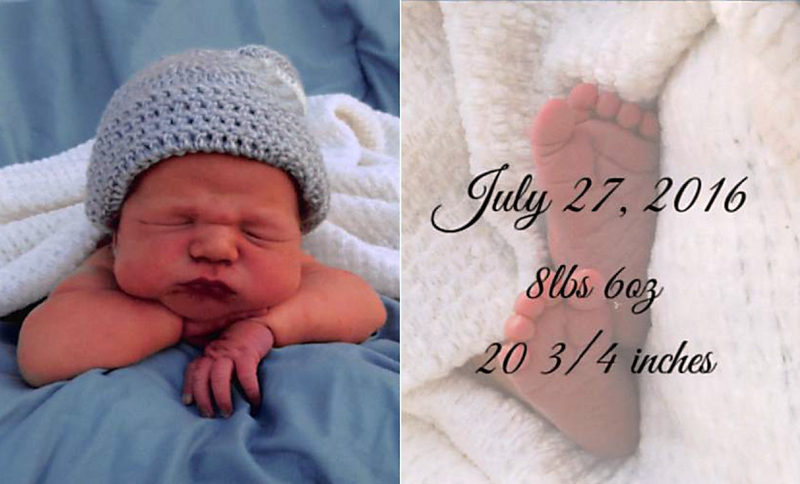 Our 1st baby was born 5/15/2009 and our 2nd baby was born 6/18/2010. We anticipate this will change our lives ha, it’s teaching us lots of patience and planning. We would absolutely recommend other couple to pursue a vasectomy reversal. Our advice for other couples is to be patient, hope for the best and pray. Be prepared that it could actually work and pregnancy could happen! Yes we would recommend Dr. Kuang and his staff! R & A (Sandia Park, New Mexico – September 16, 2010). It was very exciting to find out we were pregnant! We were over joyed. We anticipate life will get busier but more fulfilling. Our advice to couples who are having a hard time conceiving is to keep trying. Take the prenatal vitamins. Dr. Kuang made us very comfortable on our first visit. The staff also made us feel very comfortable and were very knowledgeable. Their new office is very nice and clean. Yes, we would recommend Dr Kuang and his staff to other parents. It was awesome to find out we were pregnant using a test. We had our vasectomy reversal on 01/16/2008 and were pregnant 6 months later. She was born on 04/17/09. I left my job to stay home with the baby full-time, for at least 6 months. We are staying home doing baby stuff instead of going out. Our advice for other couples considering a vasectomy reversal, receive the procedure with Dr Kuang-we got pregnant within 6 months and delivered a healthy baby only 15 months after the reversal. Yes, we would recommend Dr Kuang and his staff. To find out we were pregnant was very surprising and exciting. Our expected date to deliver is 9/29/11. We anticipate this will change our lives in every way imaginable, but all for the better. Our advice for other couples who are trying to conceive, follow your instincts and do not be afraid to receive help! Dr. Kuang made us feel very welcoming and optimistic at our first visit. Services were rendered expertly. We absolutely feel we got the best fertility care. Dr. Kuang’s staff made us feel comfortable and well informed. Yes, absolutely we would recommend Dr. Kuang and his staff to other couples! R & F (Albuquerque, New Mexico – September 3, 2011). For us a vasectomy reversal was the best treatment option since IVF was out. IVF was not an option since my wife had too few follicles. Dr. Kuang is awesome!. caring and thoughtful! His staff was great. On the day of the vasectomy reversal, I was very scared and tense. Having such wonderful staff made it a comfortable experience. The anesthesia was very good. No problems! Seeing my own sperm in the ejaculate at only 6 weeks after the vasectomy reversal was great! In regards to recovery, I was sore for about 2 months. I healed quickly. I would absolutely recommend Dr. Kuang and his staff for a vasectomy reversal. I decided to have a vasectomy reversal when we realized we wanted more kids. Our biggest concern was the success of the vasectomy reversal procedure. I like the guy. We chose Dr. Kuang because he was very approachable, had a great bed side manner and was very caring. Meeting Dr Kuang for the first time was better than expected. He is a very humble guy, very knowledgeable and made me feel very comfortable. 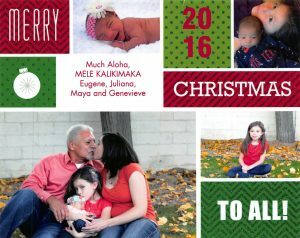 Vasectomy reversal changed our life because my wife is pregnant! I would recommend Dr Kuang HIGHLY! Great guy and he knows what he is doing! R & L (Cedar Crest, New Mexico – May 25, 2008). Sperm retrieval for IVF was the best option for us since it was easier than a vas reversal. My biggest concern about a vasectomy reversal was the need to have another vasectomy afterwards. Dr. Kuang made us feel very comfortable. His ability to explain the process was helpful. The staff was excellent. During the sperm retrieval, Dr. Kuang talked to me a lot about my hobbies, interests, ect. to help me stay relaxed and make the experience as comfortable as possible. The local anesthesia was very easy, clean, good temperature. In regards to recovery after the sperm retrieval, it took about 6 days for the discomfort to subside. I did not take the pain meds. Yes, I would recommend Dr.Kuang and his staff for a sperm retrieval for IVF. Our overall experience at the Albuquerque Bed and Breakfast was fantastic. We would absolutely recommend the Albuquerque Bed and Breakfast to other out-of-town patients. We liked the location because it was close to the hospital, Dr. Kuang’s office and the pharmacy. It was home-like feel and comfortable. Staying close to Southwest Fertility Center for Men and the surgical center helped in our vasectomy reversal care because it was less travel. The vasectomy reversal was the best option for us so we could have biological children. Our concerns about the In Vito Fertilization, was it’s not natural. Our advice for other couples who are looking at these options is pray and let God direct you. Dr. Kuang made us feel at our first visit, informed and comfortable. Sonja is GREAT, very knowledgeable. We chose Dr. Kuang because of his experience with bypass. The website and or You Tube videos prepared us, set expectation. What we valued most about our services was the treatment by Dr. Kuang, staff at Heart Hospital and Sonja. Our experience on the day of my procedure was pleasant as possible. What helped make the experience as comfortable as possible, Heart Hospital staff was wonderful. My experience with anesthesia, during surgery was fine, recovery had shakes. Sonja was very kind, knowledgeable and compassionate. Recovery after surgery I was sore- still recovering. We would absolutely recommend Dr. Kuang and his staff to other couples! We absolutely think we got the best vasectomy reversal care. Vasectomy reversal was the best treatment option for us since it has a lower risk of multiple births and is ultimately less expensive. What concerns us about In Vitro Fertilization (IVF) is the high risk of multiples. Our advice is to explore both IVF and vasectomy reversal options and ask lots of questions and decide what is best for you. Dr. Kuang made us feel great at our first visit and very comfortable. Dr. Kuang answered all of our questions and was honest about our chances of success. The staff were very friendly and helpful. We chose Dr. Kuang because he was highly recommended by his fellow Urologists. Once we met Dr. Kuang it sealed the deal! Considering the circumstances the day of my procedure wasn’t bad. Arrived at the surgery center early, everything was on time my wife was kept informed throughout. A knowledgeable staff, ample opportunities to ask questions and excellent nurses at the surgery center made the experience comfortable. The anesthesia must have been good, I don’t remember anything! It was very exciting to see my own ejaculated sperm on the computer in the office. We are closer to our dream of a child! Recovery lasted about 2 weeks before I started to feel pretty normal. Overall, it wasn’t too bad, just go slow and remember- its major surgery. We would absolutely recommend Dr. Kuang and his staff! The vasectomy reversal was the best treatment option for us because it had been a relatively short time since the original vasectomy. We had no concerns about the In Vitro Fertilization. Our advice for other couples is that there are viable options and can be successfully achieved. Dr. Kuang made us feel at our first visit, relaxed and knowledgably with his approach. The staff made us feel welcomed and are confident in their skills and care. We decided on Dr. Kuang because he was highly recommended by a friend. The website and You Tube videos were very informative. We feel we received good value care and services. Our experience on the day of our procedure was very pleasant and comfortable despite last surgery was 34 yrs ago. What helped make our experience as comfortable as possible was the facility, staff and Dr. Kuang. The anesthesia worked well with no Side effects or post surgery issues. The mini-incision technique seemed to work well to minimize trauma. Our experience with having Dr. Kuang visit us at the Bed and Breakfast was a very nice touch. High quality care with a very personal touch. The recovery after surgery has gone well, 10 days status post. I had a significant improvement at 8-9 days s/p. We would recommend Dr. Kuang and his staff highly. Keep doing a great job! A vasectomy reversal was the best treatment option for us because it was more natural, easier and long term for multiple children. Our concerns with in vitro fertilization was the cost and multiple births. Our advice for other couples who are looking at these options are how many kids do you want? It will depend on which option to choose, either way Dr. Kuang is extremely helpful and knowledgeable. Dr. Kuang made us feel relaxed at our first visit. He took his time and he was very knowledgeable. We decided on Dr. Kuang because he offered simple and complex based on need during surgery and proximity. We liked both the website and You Tube videos. What we valued most about our services was he does the simple and the complex, both an option based on tests during procedure. On the day of the procedure it was fast, easy and professional. What helped make the experience as comfortable as possible was starting early as I was still half asleep and the staff communicating with my partner during the surgery. My experience with the anesthesia was fine, easy to do, no complications. I would definitely recommend the mini-incision technique, faster healing. The procedure room was good, well equipped, laid out well. It was super exciting to see my own ejaculated sperm on the computer in the office. Can’t wait to get the photos! My recovery was not bad, worse than the original procedure, complex makes things much harder to recover. Still get pain at 5 weeks. Dr. Kuang’s staff was most reliable on communication and checking up post-surgery. Dr. called Friday evening to check up. We would recommend Dr. Kuang and his staff to other couples. You all did a fantastic job! We felt we received the best vasectomy reversal care currently available. Right vasoepididymostomy. Left vasovasostomy. Sperm back 4 weeks later. My wife and I have been trying to get pregnant now for 2 yrs through sperm donor and insemination. It wasn’t working, so this was the next step. We chose Dr Kuang for his background and schooling. After out first visit with him we were confident in his medical practices and procedures. He made us feel very comfortable, answered all our questions non bias and gave us straight forward facts. We felt more confident with our choice to do the reversal, especially with Dr Kuang. The staff made us comfortable and were very knowledgeable. Vasectomy Reversal gave my wife and I hope in trying to conceive. Our advice for other couples is to do as much research as possible. Make sure it is what you really want to do. I would highly recommend Dr Kuang to anyone. The sperm retrieval with in vitro fertilization was the best option for us because this is the only and most effective way that we can have a biological kid of both myself and my wife. We had no concerns with the vasectomy reversal. Our advice for other couples is to talk to your doctor about all options and ask a lot of questions. Dr. Kuang made us feel very comfortable and he was very knowledgeable which put my wife and myself at ease. The staff are very knowledgeable and made us feel very welcome. We decided on Dr. Kuang because of the recommendations from our fertility doctor. We absolutely received good value services. My experience with the sperm retrieval was pleasant. The doctors were personable and explained the procedure to me well, made me feel very comfortable and the doctors were prepared. My experience with the anesthesia was fine. It did not hurt. My recovery went well. I was back to work within 2 days. We would absolutely recommend Dr. Kuang and his staff. They were wonderful. No improvement needed. S & S (Albuquerque, New Mexico – March 2, 2010). The vasectomy reversal was the most natural and least expensive option for us. Our advice for other couples is to talk to Dr. Kuang and see which option is the most viable. Dr. Kuang made us feel great, very personable at our first visit. The staff made us feel welcome and yes the staff was knowledgeable. We decided on Dr. Kuang because he had great review, most qualified in the area. The parts of the website and or You Tube videos were most helpful were the layman terms in the procedure explanation. The welcome and understanding is what we valued most about your services. On the day of the procedure it was very professional with quality, personalization. What helped make the experience as comfortable as possible was very well informed prior to procedure. Our experience with having Dr. Kuang visit us at the Bed and Breakfast was great. It was nice to be able to relax and not go anywhere. The area Dr. Kuang’s staff was most reliable in was they were timely and accurate, eager to help, loved that they called my wife during surgery with updates. The recovery after surgery was slow but progressive. It took 1 month for recovery. We would recommend Dr. Kuang and his staff to other couples, YES!! We feel we got the best vasectomy reversal care currently available, YES! The vasectomy reversal was the best treatment option for us because my wife and I decided to have another child because she had a still born child. I had decided to have a vasectomy during the pregnancy. We had no concerns with the In Vitro Fertilization. For other couples who are looking at these options, find an experienced doctor. Dr. Kuang made me feel at ease at our first visit. He is a personable guy. Sonja was great and friendly. Love her spirit. We decided on Dr. Kuang because he initially did my vasectomy and it turned out that he is an expert in this field. Everything about the website and You Tube videos was helpful and very easy to understand. What we valued most about our services was what a great guy Dr. Kuang is and how nice Sonja was. On the day of my procedure I was anxious, most because of the anesthesia. What helped make the experience as comfortable as possible was Dr. Kuang meeting with me and assuring me that everything would be ok. After the procedure I woke up fine with no problems with the conscious sedation. Yes I would recommend the “mini-incision” technique to other men. After surgery I felt less pain than what I expected. It took me 5 days to feel back to normal. Dr. Kuang’s staff was most reliable on being courteous and reliable service. We would absolutely recommend Dr. Kuang and his staff to other couples and with 2 thumbs up!! The service was perfect! We felt we got the best vasectomy reversal care currently available plus more! Dr. Kuang thank you for being such a great guy and making me feel comfortable and at ease. Tell Sonja that she is such a sweetheart and to always stay bubbly. Vasectomy Reversal was the best option for me because I found after researching options. My concern with In Vitro Fertilization (IVF) was the cost and multiple births. My advice for other couples is do your research. Dr. Kuang made me feel awesome at my first visit! Great guy, answered all questions. The staff was awesome. Couldn’t ask for better group! I specifically decided on Dr. Kuang because of research. What I valued most about the services was it was it felt personal. The day of my procedure I was nervous but everyone eased my anxiety! What helped make my experience as comfortable as possible was the drugs. My experience with anesthesia was good. I would recommend the mini-incision technique to other men. My impressions on the new procedure room was very nice. I don’t think there is nothing that could improve the new procedure room! It was interesting to see my own ejaculated sperm on the computer in the office. My recovery after surgery was rough. About a month till I was back in the gym. Dr. Kuang’s staff was most reliable in everything. Yes I would recommend Dr. Kuang and his staff to other couples! I felt I got the best vasectomy reversal care currently available. Bilateral Vasoepididymostomies with epididymal exploration. To find out we were pregnant was very special and emotional. We are not sure yet of our expected date of delivery, either 6/26/12 (twins) or 7/18/12 (single). This is a blessing to have had a tubal ligation and still was able to find a way to get pregnant is wonderful. Yes we would recommend other couples to pursue IVF. Our advice to give to couples who are considering IVF is to take a chance with science today and our wonderful doctors, Kuang, Caperton and Reed are amazing and made a dream come true for us. We would ABSOLUTLEY recommend Dr. Kuang and his staff! The baby was born C-Section. The delivery was just under 3 hours from water breaking to birth. Overall it was a good experience. Our baby was born at the Lovelace Woman’s Hospital. We were overall pleased with the experience. We now have a more structured life and spend more time at home was what we experienced during that 1 year after the baby arrival. We would absolutely go through those changes again if we could. It was totally worth it! We would love to have another child. Our baby was born C-Section. They thought Oliva might of had an abruption but baby was being monitored and was healthy, we were given a choice and decided to have the C-Section. Olivia’s water broke at 6am and the baby was born at 4:28pm. Our baby was born at UNMH. Everything went well. We were treated pleasantly. Although it helps when your wife is a charge nurse at the same hospital your baby is being born in. 🙂 We were married 10 yrs. prior with no kids, so our whole world changed. This was her first, my 3rd, so she had a lot on the job training, while I had a lot of coaching lol. We would go through the changes again, of course! We hopefully see ourselves having another child. We ended up doing IVF and still have embryos frozen for later. Our advice for couples is don’t give up. Your life will change and bring wonderful new challenges. Dr. Kuang helped guide me throughout the entire process. Dr Kuang treated us like close friends. He rocks! We chose Dr. Kuang because he was recommended. After my first visit with Dr. Kuang I could tell his experience was good. I was very confident in his abilities when I left the visit. On the day of the sperm retrieval I was excited and nervous but not concerned. The staff were great. Everyone was wonderful. My advice would be to see Dr. Kuang. The vasectomy reversal changed our lives because the vasectomy reversal enabled us to become pregnant within months. Changing our life is an understatement. My wife and I can now share the journey and adventure of parenthood. Our advice for other couples is become informed of all manners of reproductive technology and fertility restoration. Of course we would and already have recommended Dr Kuang with confidence. The vasectomy reversal was the best option for us because we wanted to try natural conception over IVF. Our concerns with In Vitro Fertilization (IVF) was the health risks to the babies. The effects of the process on the woman and the money! Our advice for other couples is do what seems best for you. Dr Kuang made us feel very comfortable! at our first visit. He gave us lots of information to consider. The staff was so pleasant and made us feel comfortable. We decided on Dr. Kuang because we were referred to us and with very high recommendations. The website and You Tube videos are a great resource! We feel that we received good value for the services provided! The day of the procedure was scary but the staff helped put our minds at ease. What helped make our experience as comfortable as possible were the phone calls from Dr. Kuang to my wife updating on the progress and procedure. My experience with anesthesia went well and as planned, so it was good! To see our own ejaculated sperm on the computer in the office was awesome and exciting! The first 5 days after surgery were a little rough but then things got better from there every day. We would recommend Dr. Kuang and his staff! J & T (Albuquerque, New Mexcio – October 30, 2010). To find out we were pregnant was unbelievable! We were overjoyed, excited and couldn’t believe it only took 5 months from the vasectomy reversal. We found out by taking a home pregnancy test after being 5 days with no menstrual flow. Our estimated date of conception was February 12th 2010. Our expected due date is November 3, 2010. It’s a girl!!! Another addition to our family is a blessing and we feel that our lives will be finally complete with our little miracle. We would definitely recommend couples to pursue a vasectomy reversal!! It is the reason we will be able to welcome our daughter into the world!!! Our advice to couples that are considering a vasectomy reversal would be, go for it!!! It may take some time to achieve your miracle but it is possible besides, think of all the fun you have trying. We would ABSOULUTLEY recommend Dr. Kuang and his staff without a doubt. He is a true blessing in our lives and because of him and his staff our prayers were answered. Thank you so much!! We decided on the IVF instead of the vasectomy reversal because my vasectomy was more than 20 years ago. The concerns we had about the vasectomy reversal was it had been too long since my vasectomy. Our advice for other couples is the sperm retrieval is less expensive and allows for birth control. Dr. Kuang made us feel very comfortable. The staff was very friendly and made us feel confident in the process. We decided on Dr. Kuang because we got a referral from Dr. Thompson and also my brother-in-law had a success. The services provided we felt were good value to us. The procedure was very straight forward and fast. My wife being with me made my experience comfortable. My experience with the anesthesia was as expected. It took 3-4 days for my recovery. I continued 1/2 marathon within 5 days. We would absolutely recommend Dr. Kuang and his staff. Vasectomy Reversal changed our lives because I am now able to have kids, whereas before I couldn’t. I would recommend Dr Kuang because within months of my Vasectomy Reversal, my wife was pregnant. Advice: If you are going to have the surgery, keep the freezer stocked with bags of frozen peas. Also point out to your wife that the surgery is comparable to giving birth. The sperm retrieval with in vitro fertilization (IVF) was the best option for us due to our health. Our advice for other couples who are looking at these options is, do it. You’ll never know! We had a lot of confidence with Dr. Kuang. The staff was very helpful. We decided on Dr. Kuang because we were referred by Dr. Thompson. What helped make our experience comfortable as possible was Dr. Kuang well informed us so we knew what to expect. It took me 1 week to recover from the sperm retrieval. We would recommend Dr. Kuang and his staff! to know. Dr. Kuang made us feel extremely comfortable at our first visit. The staff made us feel comfortable as well and were knowledgeable. We decided on Dr. Kuang because we were referred by Dr. Caperton. What we valued most about our services was the care and responsiveness shown to us after surgery. My experience on the day of my procedure, the entire staff was great. Very kind and caring. What helped make my experience as comfortable as possible was the fact that they tended to my every need. My experience with the anesthesia, I don’t remember a thing and for me that’s a good thing. I would recommend the ” mini-incision” technique to other men. It was interesting, weird and neat to see my own ejaculated sperm on the computer in the office. My recovery after surgery was painful and it took a few weeks to get back to normal. Dr. Kuang’s staff was most reliable in all areas, we had a wonderful experience. Yes we would recommend Dr. Kuang and his staff to other couples in a heartbeat. Yes, we feel we received the best vasectomy reversal care currently available. Sperm back 3 months later. It was incredibly exciting-I don’t think our feet have touched the ground yet! We did a home pregnancy test at 5am! Needless to say we did not go back to sleep, we were too excited! Our lives will be enriched in ways too numerous to start counting-it is fulfilling one of our dreams. The new office space was very comfortable. We would wholeheartedly recommend other couples to pursue a vasectomy reversal. We advise couples to ask questions to make sure this is the procedure best for you. We would absolutely recommend Dr. Kuang and his staff! “The reason we choose exploration is to have a family and be happy with our lives. The advice I have for other couples is that the procedure is worth it to find out if you are able to have a family or not.Dr. Kuang is an excellent doctor, he knows what he is doing, and encourages you to keep on going. The staff is very helpful, and friendly, and treats you well. I choose Dr. Kuang because he was recommended by another doctor. What I valued more about the services is that they treat you well and are very patient. The day of my procedure I felt really good and happy because I knew I was in good hands. My experience with anesthesia was great; I did not fell anything at all. Recovery was great and quick, it only took me about 4 days to recover. Dr. Kuangs staff is reliable in every way, they are very reliable. I definitely would recommend Dr. Kuang to other couples. Everything was perfect. I was sure they had everything under control.